Yesterday, I wrote a little quick post for my Facebook pages, in which I expressed my long-held admiration for Sam Calagione, lately prompted by his flat refusal to even meet with representatives of Anheuser Busch – aka InBev, or whatever they’re calling themselves this week – about the possibility of arranging “something similar” to the craft brewery deals that they’ve now done with Goose Island and Red Hook and….well, the rest of that roster of former craft breweries, all now absorbed into the Borg Collective that is The World’s Largest “Beer” Company. Sam’s total lack of interest in aiding and abetting AB’s long-term plan to purchase its way into the craft beer cred it’s incapable of earning by making beer lit me up like a Christmas tree and I cranked out a little word of appreciation…which seems to have hit a nerve. 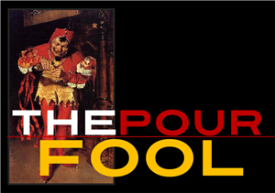 The Pour Fool Facebook page is a thing which I originally set up to issue faster posts than I can do here. I’ve almost completely neglected it, sometimes going a month or more without posting anything. The post about Sam has now hit almost 2,000 likes and climbing. But readers who responded with their own paeans to Brother Calagione had an odd effect on me: it made me think of Tomme Arthur. I think – possibly erroneously – of Port Brewing/The Lost Abbey’s resident genius and founder as the West Coast Sam Calagione, a guy who’s totally fearless when it comes to pushing envelopes, laughing at the whole notion that there’s some “box” to think outside of, and paying enthusiastic – and delicious! – homage to styles of beer that have, in some instances, not been seen in American brewing, ever. Let me just state this, flat-out: In any discussion of America’s best and most creatively-adventurous brewers, Tomme Arthur MUST be one of the names mentioned. Has to, gotta,gotta, gotta. My significant other, the devastating Judye, recently asked me, in light of our new home that’s almost ready to go and the distinct possibility that we can now travel more, where I’d want to go for our first trip. I answered instantly: San Diego. Why? Well, for a LOT of reasons – food, sunshine, water, more food, and many, many breweries and wineries – but mostly so that I can finally visit Port/Lost Abbey and shake hands with Tomme. I cannot possibly catalog here all of the Lost Abbey beers that have knocked me flat on my skinny, hillbilly rump. 10 Commandments, Red Barn, Red Poppy, Carnevale, Cuvee de Tomme, Deliverance, and two of my all-time pleasures…Angel’s Share and Serpent’s Stout. In any given moment of my life, if someone sat me down and said, “I have every bottled beer in the world in my fridge, Whaddaya want?“, I would, maybe 8 out of 10 times, answer “Serpent’s Stout, please!” And the eight beers I mentioned are just the ones I’m thinking of this instant. There are a LOT more. I’m hardly alone in my admiration for what Tomme Arthur has done with Abbey, his Belgian/Experimental nexus, or the more universally-approachable Port Brewing, which specializes in the British ale tradition, primarily, with a handful of Saisons and a Czech Pilsner thrown into the mix, just for shits ‘n’ giggles. Across the board, through both breweries, the quality level never wavers a molecule. Any new release from either immediately enters the conversation of the best examples of its style and all adhere strictly to what seems to be Tomme’s #1 Commandment: Make It Delicious. Like most creative people (your Fool notably included) he pisses off a LOT of people, some of whom, I’ve recently read, have called him by the same name I go by in the BeerAdvocate forums: “Arrogant Prick”. (I’m getting t-shirts made!) Good on him, I say. Given the highly-questionable emotional fragility of most Americans when it comes to dealing with someone who says exactly what’s on his or her mind, without a doughnut-like slather of sugar-coating, becoming known as an Arrogant Prick should only be considered a badge of honor, these days. Far from that, I’ve found Arthur’s candor and lack of pretense refreshing and, of course, all that comes through in his beers. Stylistic tweaks are even-handed and flattering. When you taste a Lost Abbey ale that’s supposed to be a Farmhouse ale or a Quad, you don’t have to play Guess That Style. His respect for traditions comes through almost as clearly as his willingness to violate them. I recently posted a list, here of America’s Top 40 Breweries. In the responses, I got several dozen that were legitimate, not just the knee-jerk umbrage of a cheesed-off homer. I agreed with a few of them and didn’t with most. Only one freaked me out. As I was terrified of doing, I left out a brewery which absolutely HAD to be there: Lost Abbey. I went back and added it, in the spot I found appropriate. That list of the Top 40 now has 41 breweries on it, with The Lost Abbey and Stone Brewing and Anchorage Brewing in a tie for fifth. Let’s just keep that our little secret, okay? This blog is now entering its seventh year and I’ve been meaning to write this for almost that entire time. This was one of those posts that kept getting pushed to the back burner in the endless and rabid crush of What’s New. It is so long overdue, in fact, that I almost hesitated to write it now. But I finally had to. If The Pour Fool is about anything, it’s damned well going to continue to be about Accomplishment – not the glitzy and as-yet unsustained Accomplishment of “buzzworthy” new breweries, wineries, and distilleries, but the fact of an inescapably, undeniably excellent Body of Work. 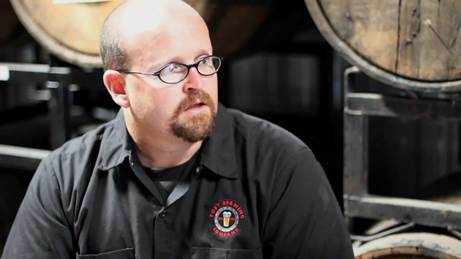 And that’s the thumbnail of Tomme Arthur’s career, to a T.
Thanks for the beers, Tomme. Keep ’em comin’.